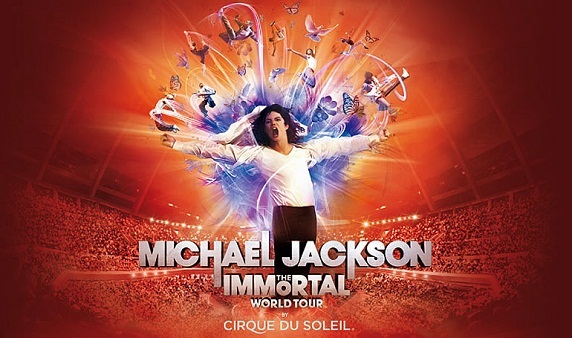 Last night was the opening night for the Cirque du Soleil production of the Michael Jackson Immortal tour in Montreal. I've been alternating back and forth between this being an absolute must see show for me or an overpriced spectacle that isn't worth clearing a weekend out for. I imagine that the truth lies somewhere between the two, but that doesn't help me decide whether or not to fork out the money. I have a couple of problems with the touring show. One, Cirque shows are so much better in smaller theaters. I've seen a couple of their arena shows, and it really takes a lot away from the amazing things that they can do. It's possible that this show is super-sized enough to work well in a large arena, but I'm doubtful. That makes good seats of great importance, and with the better seats coming in at around $250 each, that makes it a pretty expensive night out for a family of five. My second train of thought is to wait for the permanent show Cirque is developing for Las Vegas based on Michael Jackson, thinking that might be a much more intimate (and economical) solution. I was fortunate enough to see Michael Jackson on tour in 1984 (Actually it was all of the Jacksons, but nobody bought a ticket to come see Tito.) and it was a huge spectacle and an impressive show. It was also a jaw dropping $40 per ticket, which was almost double what I paid to see Bruce Springsteen the month before. I understand that there's been a lot of concert inflation since then, but it also needs to be remembered that for $40 it was actually Michael Jackson! I'm not thinking that a $250 tribute show is going to qualify as a "need to have experience" for our family. I will be keeping an eye open for any discounts that might pop up though, and if Cirque needs somebody to moonwalk during the pre-show, I'm their guy. I was thinking the exact same thing after watching Pierce morgan on CNN tonight. Unless I can find some deep discounts, I think I'll wait for 2013 when it arrives in Vegas. How much do you think it will cost then? Well it's a totally different show that's opening in Las Vegas 2013, a permanent show for Mandalay Bay to replace Lion King. This touring version is actually in Las Vegas in December of this year. I imagine the new show in Vegas will be priced in line with the other Cirque shows, so $75-$175ish, but there always seems to be a deal available in Vegas. I guess I can complain all I want about the price of the touring version, but it seems to have sold well everywhere I've checked, so my hope for discounts is slim, especially with my decent seat requirement. Looks like I'm either going to have to pay up, or wait for a DVD.